It’s important to know our customers. And since we need to serve our fellow employees every bit as well as we do the public, we also need to know our colleagues. You know many individually. But as a group, who are we, what do we look like? Our County team is around 17,000 strong, and as you’d expect with that many people, we’re a varied bunch. Sometimes it might seem like a lot of employees have been here a long time, and of course, many have. But the numbers show that’s not the whole story. Last year, 1,451 employees joined the County from the outside (welcome!). Everything is new to them – from their daily duties to understanding our culture. Roughly another 2,000 existing employees were promoted (congratulations!). That’s almost 3,500 people in new positions. That’s a lot of learning, a lot of people who need help getting into their roles so they can be successful. In fact, nearly 6,000 of us have been here under five years! If you’ve been around for a while and are ever tempted to think something is common knowledge, remind yourself how new many of our colleagues are. Help them along. If you’re new, don’t be afraid to ask about things. We know there’s a lot to pick up. A handful are really in it for the long haul. Fourteen employees have been here 40 years or more, with our longest-serving worker at 47 years! Our workers range from 20 to 83 years old, with an average age of 44. The average for the national workforce is about 42. So we’re a touch older, but not much. You can expect some of the next generation to come from those who are now student workers. We had 391 last year. Our District Attorney’s Office had the highest number of any department: 93. We tilt pretty heavily female. 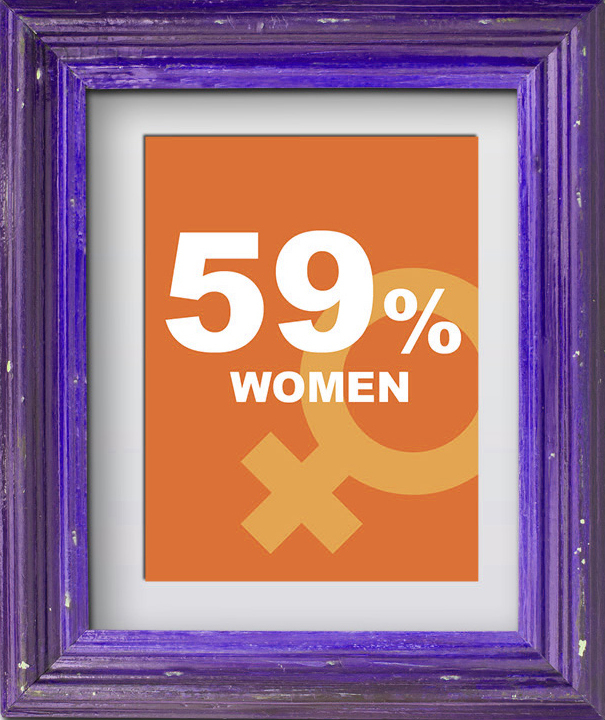 Our workforce is 59 percent women, and it’s been that way for a while. County jobs don’t mirror those of society at large. We have a lot of positions in fields that tend to disproportionately draw women. Our largest age group is 27-40 years old, approximately the range we know as millennials, aka Gen Y. They make up about 41 percent of our workforce. They’ve nosed ahead of the next group, those 41-56, roughly Gen Xers, who are just over 39 percent. Then Boomers, 57-73, still make up about 15 percent. The incoming Gen Z, people up to age 26, are already 5 percent. We still have a few Silent Generation members, 74 years old and up, on the job. We’ve talked pretty extensively about some of the differences, but it’s really exciting to get to work with people across five generations. We can learn so much from each other. Racial/ethnic identities can get quite complex, but at a high level, here’s how we break down and how that compares to the San Diego region at the last census: 0.6 percent American Indian/Native American (compared to 0.5 percent in San Diego overall). Nearly 19 percent Asian or Pacific Islander (vs. 12 percent locally). Almost 8 percent black/African American (to 4.6 percent of San Diegans). 32.6 percent Hispanic/Latino (vs. 28.3 percent of residents). And just over 40 percent are white (vs. 54.5 percent regionally). 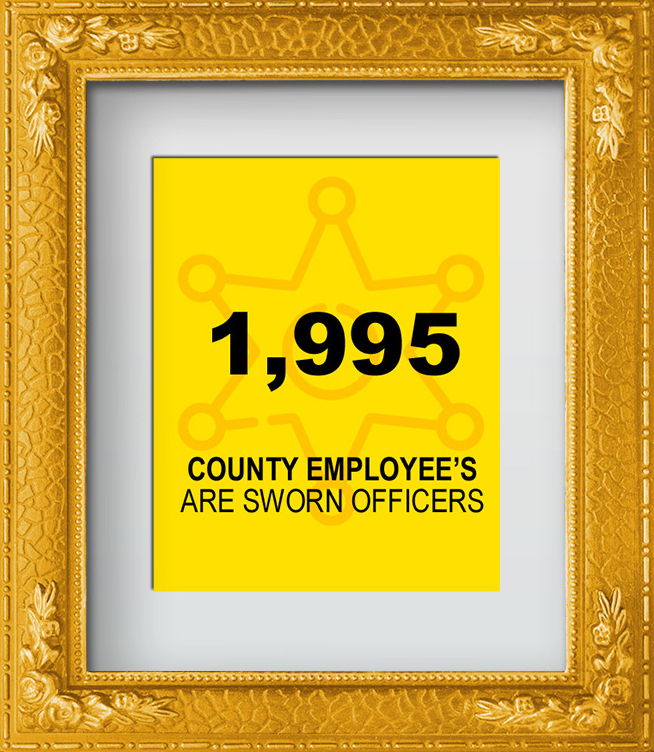 Almost 2,000 of our County employees are sworn officers. That includes Sheriff’s personnel, Probation officers, District Attorney investigators. In recent years we’ve worked harder to get veterans of the armed forces to join us, and they now make up 6.6 percent of our employees. We thank them for their service and for continuing to serve the public with us. That’s a quick snapshot of our employees as a whole and some indication of the diversity within our County team. But only some indication. We’re diverse in all kinds of ways we don’t gather statistics for: where we’re from, the culture our families shared with us, our beliefs, our challenges, our passions, and the whole gamut of life experiences. We fall into many different categories that make each of us unique and interesting. And when we bring our individual talents and backgrounds together, it makes exciting teams! Looking at these numbers is fun but also has a purpose. I share them to help us better understand our fellow employees, so we might serve each other, and in turn the public, better. Because regardless of all these other groups we may be a part of, it’s the qualities we bring to our jobs that really define us at the County. Respectful, attentive, compassionate, hardworking public servants – that's who we are.